Parklands Conservation Park just outside Nambour is one of the best kept secrets. 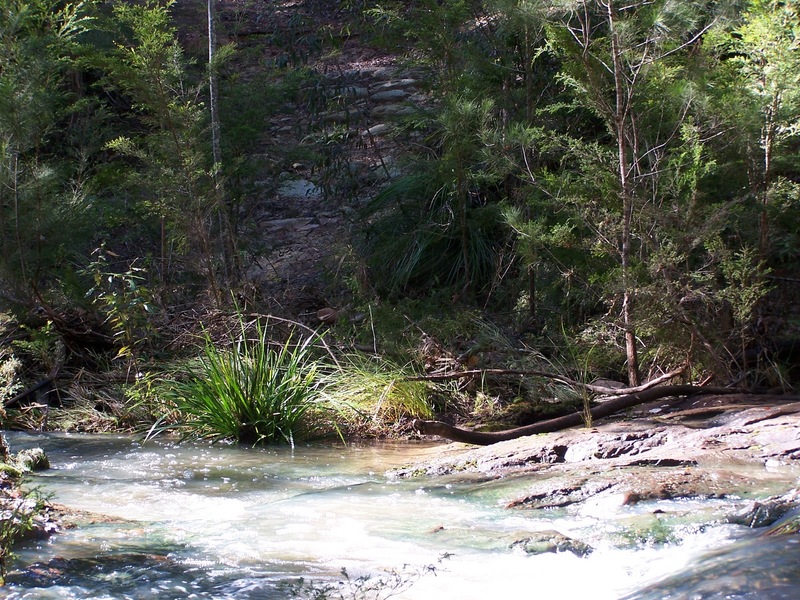 Although well known among mountain bike riders, we do not encounter many bushwalkers in this park. This is a pity because the tracks are beautiful and varied, leading past a range of landscapes, wooded ridges, rainforest gullies and creek crossings. The Rocky Creek circuit is a worth while morning's walk, starting early, we arrived at the park entrance at 6.45. The sun was streaming through the undergrowth, the air still had a chill to it, what a start to the day. It had rained the night before, so everything was fresh and glistening. There are several well signed walks in this park and Rocky creek circuit is one of 4. The information board at the park's entrance gives a good explanation of the park's Flora and Fauna. It took us about 1 1/2 hours to do the circuit, stopping off at the creek crossing for a break and a snack. All in all a great hike with a few steepish hills, but the hiking sticks we carried helped keep us steady on foot. What a great collection of walks you've got there. Next time I'm there I will explore a few of those! Sunshine Coast bush walking. What I like about it is that every walk is so different to the previous one. Lush hills, rainforest areas with waterfalls and babbling brooks, shrub, coastal walks with beach, mangrove sections and then the glorious steep hills with the best views!